This is quite possibly the most exciting post that I have done to date...well next to announcing my acceptance to this Blog's Design Team. Today is my first Challenge with them, and I couldn't be more excited to be on their team alongside so many amazingly talented women. 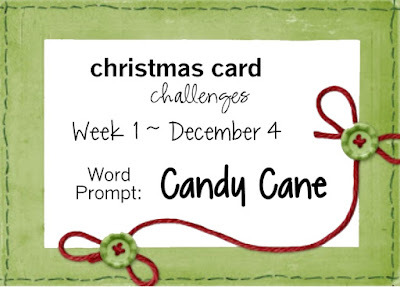 To view more about the Challenges that are offered at Christmas Card Challenges. So without further ado....here we go. There are a could stamps that came to mind immediately upon seeing this, however I consulted my Stamp book (sort of like a catalog of all the stamps that I own). To my surprise there was a new stamp that I had never used in there that was perfect for this card, and I had so much fun playing and designing this card. For those of you that are new to my blog I generally start with an image, and then I find pattern paper to match, and then I colour the image to match the papers. 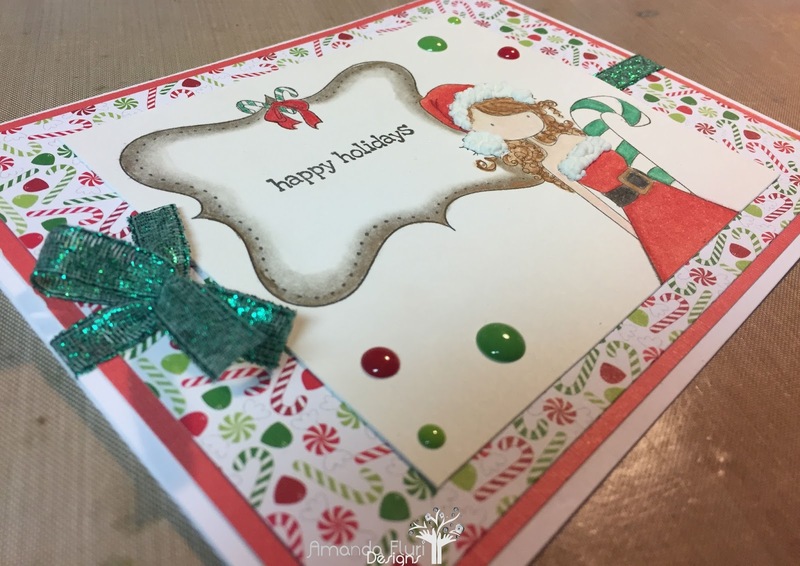 For this card I did things slightly backwards...I started with selecting the stamp, and then I got so excited that I just started colouring, and luckily was able to find paper after to match this card perfectly. Thankfully it worked in my favour this time, sometimes however I am not quite as lucky. I would love to know what you think of my card! Please leave me some love in the comments below! 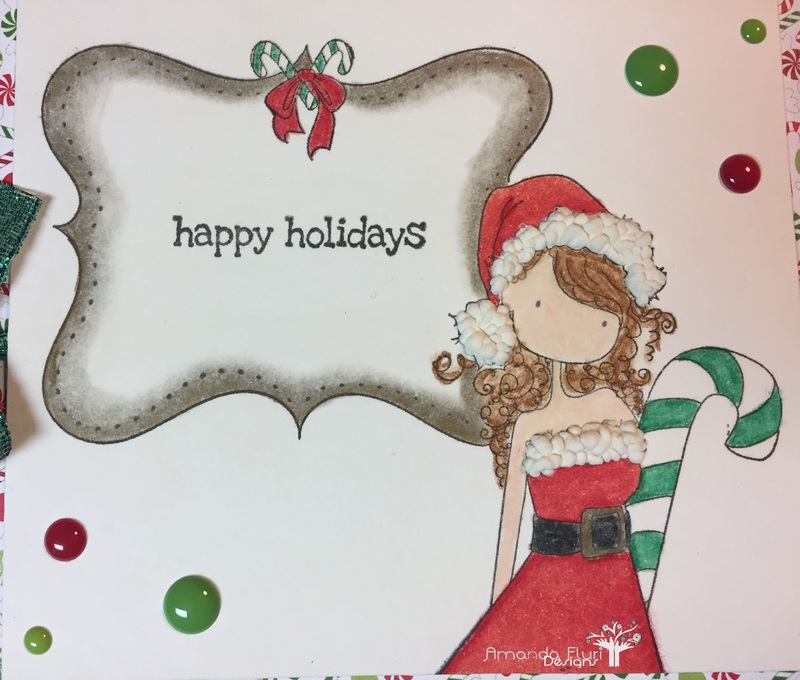 Thanks for stopping by and I hope that you come and play along with us too over at Christmas Card Challenges! MFT Ink - ink that used to stamp the image and sentiment in. Prisma Colour Pencil Crayons - pencil crayons used to colour the image. Doodle Bug Pattern Paper - candy cane pattern paper - I have linked to the 12x12 paper pack, however I have the 6x6 that I used. Red Cardstock - used to mat the pattern paper on - unfortunately its from my scraps so no link is available. This card is so cute! That patterned paper was perfect for the image!! Looking forward to working alongside you at Christmas Card Challenges!! Thanks for stopping by Stacey. I absolutely love Doodlebug paper, and couldn't help but pair it with this beautiful image. I am really looking forward to working alongside you too! Thanks so much Karen. I am really looking forward to working along side you on the design team!